Push your needle through candy corn toward the base. Pull through and on to the thread. 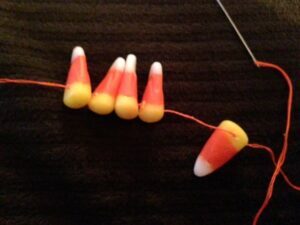 As you continue, the needle and thread will get gunked up with candy corn. Use the warm wash cloth every so often to clean thread and needle. When you get to the desired length for a bracelet, necklace, or garland, tie the ends of your thread in a knot. 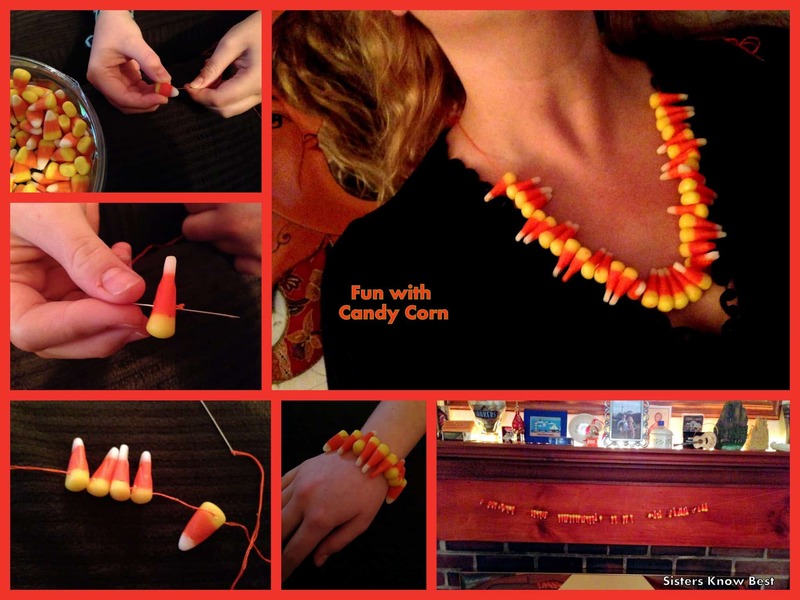 Tip: Fresh candy corn works the best. I used Brach’s brand. Because we had snacked on it the day before, the bag had been opened so some of the candy corn crumbled easier. I know it’s tough, but keep the bag unopened until the start of your project. If you find them crumbling, try microwaving for 5 seconds to soften them. For other Halloween crafts, visit our Halloween page! If you haven’t yet, sign up for our newsletter below! 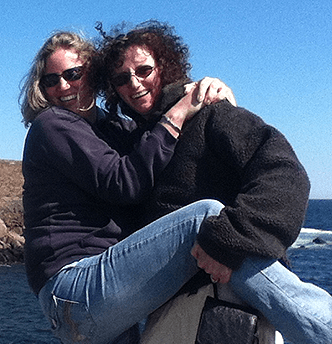 We love to share!